I used to drive a 4×4 leased through my business: great fun. But then I thought about the cost – not just to my pocket, as I got 23-25 mpg performance on the motorway, but to the environment. For tax reasons I leased cars through my business, but gradually felt it was unjustifiable environmentally to change car every three years. So in 2004 when I had to give back the 4×4 or buy it, I decided on outright purchase of a more environmentally friendly car which I would keep for as long as I could. Yes, I chose a diesel, which more than halved fuel consumption and so thought would be better for the environment – well, that was what we were being encouraged to do. Hm. 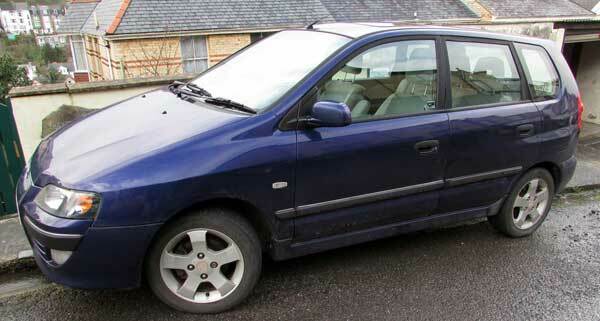 It’s a shame because my Mitsubishi Spacestar has been a trooper for almost 12 years, but now has gone: living by the sea has taken a toll on it. It was not the most stylish design, but it was a trooper, still delivering 50 mpg on recent trips up country. It carried Mrs Z, our dogs and me all over the place, not complaining or ever breaking down as I delighted in exploring narrow, hilly lanes. It was dependable when I had to visit relatives in hospital, help with house moves, put the seats down and fill the back up with almost everything. 12 years is the longest I have owned any one car and I hope its replacement lasts as long. From being concerned about how long it would keep going, I started to feel a little sorry as I drove it away for the last time. Didn’t I used to say that a car was just a metal box on four wheels that carried me from A to B?